Size 1 fits from 7 - 20lbs, and Size 2 fits from 18 - 40lbs. All weight ranges are approximate. 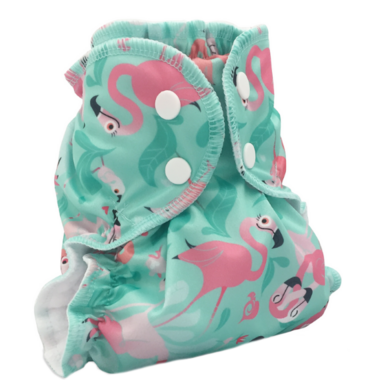 As always, super adorable print, awesome diaper all around! We only use AC! Love this pattern. Great diapers always keeping in what they should!